Special offer for the month of May only! Contact us now for your early sign up special! Imagine doing a fluid practice of yoga and Pilates in one of the world’s most beautiful islands. An island that erupted over 3600 years ago to reveal the best sunset in the Mediterranean. With cascading white bungalows down sheer cliff drops into the Aegean Sea, blue skies forcefully embracing turquoise waters and the only navigable sea crater in the world, Santorini Greece is your perfect destination to rekindle that fire within and enjoy a week of amazing yoga and Pilates. You’re backdrop for your Sky Pilates and Yoga Retreat will needless to say leave you captivated, enlightened and elevated to another realm. 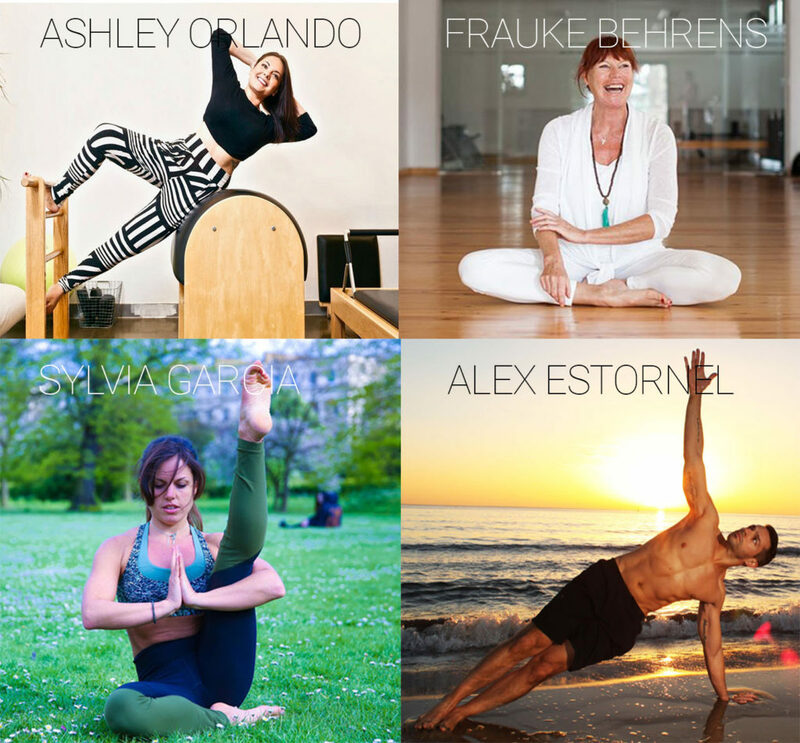 You won’t want to miss this incredible opportunity to transform your yoga and Pilates practice and enjoy a renewed perspective on the splendors of nature. The Pelagos Hotel in Oia Santorini will be hosting what will be your most memorable healthy holiday. With beautiful bungalow accomodations all equipped with individual bathrooms and kitchenettes and an on-site vegetable and fruit garden. This boutique hotel is the perfect setting for a relaxing and fun Pilates and Yoga holiday. 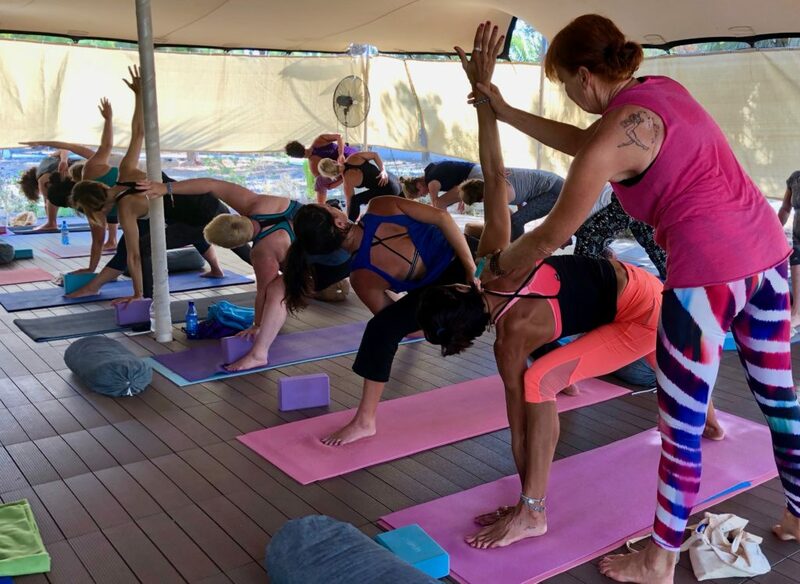 The Pelagos Hotel has built a beautiful 30’ x 40’ practice shala where all classes will take place. All your materials for all your classes will be provided so you can bring your body, mind, and spirit to the mat. Prepare to reconnect with your love of health and the warmth of the mediterranean sea. Join our Sky Retreats expert instructors as they guide you through 16+classes in one incredible week! 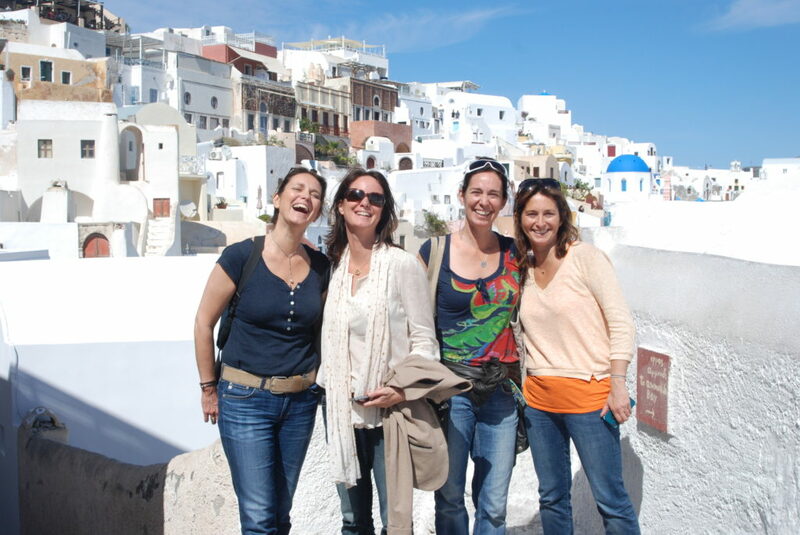 Each one of our Santorini Greece Retreats feature 3 expert instructors! 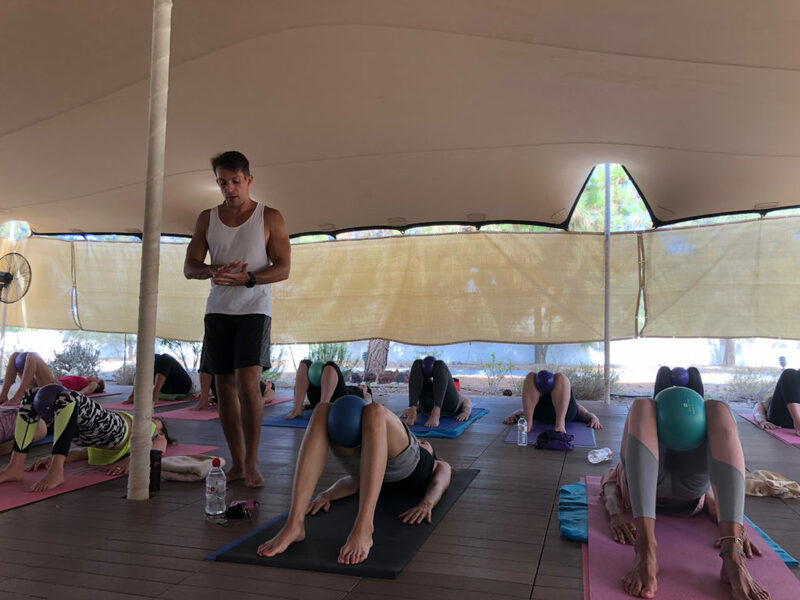 Our Sky Retreats instructors are highly qualified teachers in their field combining the perfect balance between yoga, Pilates and healthy fitness. We design our classes in an open format so all of our Sky Retreaters can practice at their own level and challenge themselves as they wish. You will certainly be in the hands of the best experts in the field of healthy movement! Read their full bios here! * 16+ classes in one week. Catamaran sailing excursion of the island. The excursion includes swimming in warm sulfur springs, snorkeling in beautiful reefs, visiting two of Santorini's beautiful beaches a delicious dinner onboard and finishing with an incredible view of the famous Santorini sunset. This excursion is optional and is worth a total of 105€ (rates do vary depending on the number of attendees). * Quad Biking excursions to Ancient Thira and/or Akrotiri Archeological site plus gorgeous beaches in the south of the island. Shared rooms can be for you and your friends or we can pair you with a like-minded individuals as more than 95% of our guests travel solo. These Early Bird Rates below will increase by 10% five months before the retreat. Reserve now and save! Please see our terms and conditions page for more information. More than 95% of our Sky Retreats guests travel solo! You are guaranteed to be surrounded by like-minded individuals! There are direct flights to Santorini from many UK based airports as well as many European cities. We recommend booking your flights early to find the best economical price. Pelages Hotel a short drive to the north part of the island. be waiting for you and will show you to your comfortable room. 17:30 in the deluxe Yoga and Pilates shala located on the premises. remainder of the balance must be paid 40 days before the event. Please feel free to contact us for more info and/ or more payment options. The beautiful accommodations at the Pelagos Hotel Retreat Centre are individual bungalows each consisting of an ensuite bath and kitchenette. The private rooms have a large double size bed and the shared rooms have two individual large size beds. Below are examples of our shared double rooms, triple rooms and private single rooms. Each room does have a slightly different floor plan but all are decorated in beautiful traditional Greek island style. Space is limited per retreat. Make your reservation now!